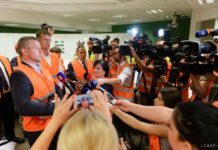 Martin, September 13 (TASR) – Fifty-eight men and 21 women completed their eleven-week voluntary military training at a military base in Martin (Zilina region) on Thursday with the final ceremony attended by Defence Minister Peter Gajdos (Slovak National Party/SNS). „These young people deserve my respect for their decision to exchange the comfort zone of their home or a summer holiday for an 11-week military drill and preparation for defence of their homeland. They are evidence of the fact that national feeling also persists in the generation that, fortunately, knows armed conflicts only from media,“ said the minister. 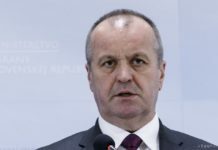 Gajdos stressed that suggestions by those who’ve undergone the training are important for the Defence Ministry and that the ministry will use them to increase interest in this project. „I’ll do my utmost to motivate additional people to join voluntary military training and to increase its quality so that its participants are ready for the Slovak Republic’s defence in 11 weeks. We’ve also made use of the potential of those who want to join the Armed Forces as professional soldiers,“ stated Gajdos. 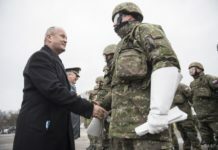 According to Gajdos, 27 out of 79 persons who’ve undergone the training expressed their interest in becoming professional soldiers, while 28 of them want to be active reservists. At present, the voluntary military training is the only legal way for non-soldiers to gain basic military skills and knowledge. After completing the programme, the graduates will automatically become members of the military reserves. The Defence Ministry’s goal was to recruit 150 such soldiers this year. „At the beginning we had 250 applicants, out of which 89 managed to complete the drill. Ten people left it voluntarily,“ noted Gajdos. Free accommodation, food, equipment and armament was available to participants during the military training. In addition, they received a motivational bonus of over €1,100.